If you’re planning a trip that involves flying with your baby or toddler, chances are you’re a little nervous, especially if you’ve never done it before. 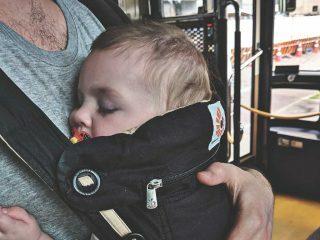 You may be hoping they’ll nap for part of the flight, but you can’t always rely on that, especially with toddlers. 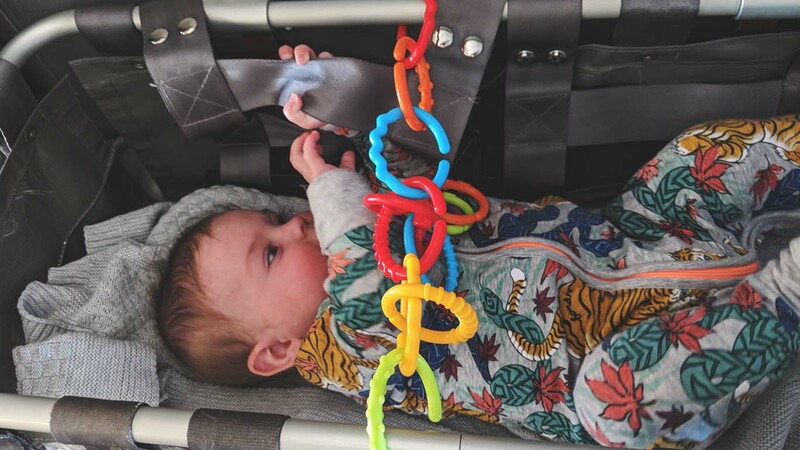 So, to help you prepare for your adventure with your little one, I’ve prepared this list of 11 ways to keep them entertained while you’re in the air! Before you break out the toys and activities, let your little one adjust to their new environment. Especially if it’s their first time flying. There’s a lot to look at and interact with on a plane, so chances are your little one won’t be bored just yet. Save your bag of tricks for when you actually need it. The seatbelt, tray table, window and other passengers and flight crew will provide your little one with plenty of novel entertainment. So it may be a good idea to let them look around and take in all the new sights and sounds of the plane before whipping out any toys or activities. Limit the number of toys you bring with you onto the plane, since carry on and diaper bag space is limited. Think about how much space a toy will take up in your bag vs. how long your kid is likely to play with it. If there are specific toys that usually hold your little one’s interest for extended periods of time, those should definitely be at the top of your list. 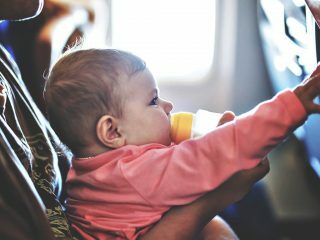 Infants – You don’t need to worry about packing toys for infants (especially those under 3 months), since they’re likely to be asleep for a good portion of the flight. That being said, you will want to make sure to pack a blanket or stuffed animal (and any other napping essentials). For slightly older infants (3 to 6 months), consider bringing a teether and a colorful toy or two. Older babies – Babies between 6 to 12 months are likely to be interested in their surroundings–like the seatbelt, tray table, window, and the other passengers. It is a good idea to bring along teethers and an activity toy or two. Maracas, puppets, and nesting toys are other good options. Toddlers – Toddlers are a bit trickier, since their attention spans are still relatively short and they tend to be very active. Dolls, puppets, stuffed toys, and plastic animals are all good options. Toddlers also love toys with movable parts (knobs, dials, buttons, lids, buckles, snaps, etc.). While you may have strict rules about how much screen time your baby or toddler gets at home, enforcing those rules while traveling is not the best idea. Movies, shows, YouTube videos (you can download these before a flight if you have a paid YouTube Red account), and digital games are some of the best (and least messy) ways to entertain your little ones while your in the air. Bring along a tablet, laptop, or portable DVD player, or simply use your smartphone. You’ll also want to bring along a pair of kid-sized headphones so you don’t disturb the other passengers. Although there is likely to be kid-friendly inflight movies and tv shows (more on this later), if your kid has a favorite movie or show that is sure to keep them entertained, it is a good idea to bring it with you. For toddlers, coloring books, crayons, and non-toxic pens are great options for inflight entertainment, especially on long flights. Coloring is a fun and quiet activity. Find some travel or plane related activities like this one to make it even more fun. If you’re on a red eye and your little one has trouble falling asleep, whipping out a coloring book can be a great way to quietly entertain your toddler. If you’re worried about making a mess or accidentally creating a work of art directly on your kid’s travel tray, consider buying a travel-sized magnetic doodle board to include in your carry on. Consider downloading some age-appropriate games onto your smartphone or tablet before you leave for the airport or while you’re waiting to board your flight. There are lots of great kid-friendly games available on both the Google Play (Android) and Apple (iOS) app stores. Using your phone or tablet as a way to entertain your little one is a great way to save space in your carry on or diaper bag, since you’re likely to bring these devices with you anyway. A smartphone is a much more compact, portable, and versatile form of entertainment than toting around several large or bulky toys. Although they take up a little extra space, books are an excellent way to keep little ones entertained. Pop-up books, touch-and-feel books, puzzle books, cloth books, and other books that encourage participation from little readers are a great way to pass the time and keep your kid happy while you’re up in the air. If you’re hoping your little one will fall asleep on the flight, and they’re used to reading a book or two before naptime, bringing along their pre-nap favorites is a good way to encourage them to doze off. Most airlines will provide in-flight entertainment and activity options for tiny passengers upon request. Depending on the airline and specific plane you’re flying on, there may be games, kids movies and tv shows, kid-friendly music, coloring books, and other activities for your tot to enjoy while you’re in the air. Making use of airline-provided entertainment is another great way to save space in your carry on or diaper bag. Supplies are usually limited though, so be sure to ask early on in the flight. Older babies are experts at using their hands, and they’re figuring out big-picture concepts like “in and out” and “empty and full.” Combine those two emerging skill sets by bringing along two lidded plastic containers, one empty and one filled with toys that’ll catch your baby’s fancy, like blocks, plastic animals, or squares of brightly colored cloth. 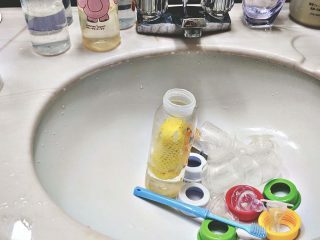 Put the two containers next to each other and encourage your pint-sized companion to move the objects from one container to the next, then back again. This is a great space-saving option to include in your carry on, because tupperware is stackable and you can store your little one’s other toys inside. Stickers are a great compact and lightweight activity to bring with you and they tend to be less messy than pens and crayons. Let your little one decorate your thermos or water bottle, bring along a sticker scene or book, or simply pack some construction paper for them to place the stickers on. There are nearly unlimited sticker options available, so choose a set with your tot’s favorite characters, animals, or shapes. Bring a few different options and give them one sheet at a time to keep them interested and entertained for longer. Also, be prepared to check the area around you for any stray stickers before you deboard; it’s unlikely they will all end up on one sheet of paper. Magnetic games are perfect for plane rides (as well as long car rides and train rides). The fact that the pieces are magnetic make them much harder to lose, easier to pack, and less likely to fall off the board during turbulence. You can get just about any board game as a magnetic travel game. Popular ones include tic tac toe and bingo. Or, for younger toddlers, consider buying a set of magnetic building blocks (or tiles, to save space). Recent research conducted by British Airways shows that Play-Doh and other old favorites like Legos and finger puppets actually keep kids occupied for longer periods of time during a flight than more modern, digital forms of entertainment. On average, kids involved in the study played with Play-Doh for more than 40 minutes before getting bored. While Play-Doh may take up a bit more space in your diaper bag, and is definitely messier than a magnetic game, tablet, or smartphone, you really can’t beat its hands-on versatility (or its price). Who knew Play-Doh could still give smartphone apps a run for their money? There you have it! 11 ways to keep your baby or toddler entertained on a plane! 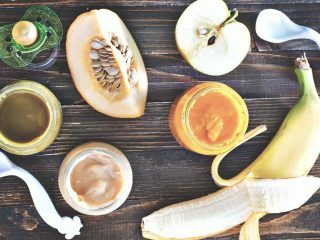 I hope you’ve enjoyed this list and found some of the tips and tricks useful for your next adventure. As always, feel free to share any thoughts, ideas, or tips of your own in the comments below.